economy and world politics, boycotts the safeguarding of the existential foundations of humanity. of the monopolies! Everyone can contribute to this – you are also needed! to fulfill the needs of the people and the following generations. I would like to cooperate with you for this aim! foundations of all of human existence and production. to the greenhouse effect which is bringing the world's climate out of balance. C in the last 50 years we will experience a rapid additional rise in temperature of 1 to 2° C.
vast coastal regions as in Bangladesh will sink in the floods. factors are intensifying each other with catastrophic consequences. It is not too late yet! percent until 2030 is necessary to prevent a climate catastrophe. thawing of the Arctic and the Siberian perma-ice. given up because of flooding. This means the loss of lives or displacement for millions of people! Canada. What cold-blooded and inhumane logic! propagate these, as well as nuclear power plants, as being a contribution to climate protection. one decade could be paid for! the struggle for their jobs! Oil monopolies like BP and Shell are presenting themselves as pioneers of renewable energies. Actually, less than one percent of their turnover and investments are linked to renewable energies. expense of other parts of society.
. CFC were used e.g. as cooling agents. a cynical name for concealing the real purpose. struggle against other imperialist rivals for intensifying neocolonial exploitation and oppression. of fossil fuels, waste incineration and nuclear power and the further plundering of raw materials. 1990, with the collapse of the devastated economy of the GDR, as the year of reference. dismantling of unprofitable railway lines and soaring profits for investors. with capitalism and to place ecological and social constraints on it by conforming has failed. fundamental conclusions from this betrayal. cannot even develop or it will be destroyed. “Ueberparteilichkeit” (a status above party lines) and openness regarding world outlook. The development of the Greens was a very slow process of the subordination to the ruling powers. CDU (Christian Democratic Union) as a provider of parliamentary majorities. decisions for a long time and systematically abandoned and betrayed the goals of the party. of all nuclear power plants! the monopoly prices of the energy monopolies. transportation of electricity over thousands of kilometers with almost no loss would be possible. alternative" and "indispensible climate protection" - a deadly fraud: Even during "normal operation"
of a new "biggest possible accident" like in Chernobyl is increasing! completely. Comprehensive closed-loop economy is therefore the order of the day! waste incineration plants are in operation in the year 2007 and dozens more are being planned. expand the business with waste incineration and waste transport to become a worldwide business. profits for the waste monopolies. of waste incineration lead to a drastic increase of cancer and allergies. hundreds of thousands of jobs. struggle and their determination, and they are taking on a leading role. movement, then a stronger force can be posed against the greed for profit of the monopolies. 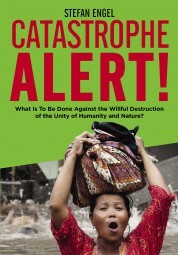 global climate catastrophe are increasingly threatening all spheres of life worldwide. common goals of women and environmentalists. municipal politicians, people from diverse movements are already active. Drastic reduction of the emission of greenhouse gases by 70 to 90 percent until 2030! Stop the construction of new big fossil-fuel power plants! Ban the combustion of fossil energy carriers step by step! Ban the storage of CO2 and the production of agrarian fuels from intensive agriculture! Immediate shutdown of all nuclear power plants worldwide! For an immediate transition to closed-loop economy! health! Production of products that can be completely recycled! like hydrogen and the construction of the necessary public power supply nets! transport! No privatization of the railway network and the railroads! For municipal energy-saving, housing reconstruction and low-energy housing programs! Drastic lowering of the limits for permissible radiation of the cellular phone network! Thorough preventative medicine and medical care free of charge! Stop the deforestation of the tropical rain forest regions like in the Amazons! only in closed circles, so that the ozone layer can recuperate completely! For international solidarity and the common struggle against international finance capital! Strict punishment of the capitalist environmental criminals! Solidarity with the liberation struggle of the peoples for social and national liberation! Save the environment from the greed for profit of the international monopolies! From the very beginning socialists were committed and far-sighted environmental protectionists. a model for environmental protection taking the given knowledge at that time into account. A pronounced environmental consciousness in the population. Whether they are made use of or not is a question of power. and the labourer.” (Marx/Engels, Capital, Vol. I, 15 in Collected Works, p. 245). in its practical and theoretical work. socialism – the creation of the united socialist states of the world. Statement of the Chinese speaker at the Stockholm Conference, „Peking Review“, 27 June 1972.